Chevron Upcycle, From Drab to Fab! I am super excited to share a fun upcycle project with you today, AND I am also happy to announce that I am one of the Creative Contributors at Oh My Creative! 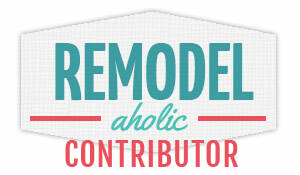 You may have noticed the new button on my sidebar. When Susan asked me I was totally on board! She has a great blog and I was truly honored and SO pleased to participate! I will be posting a project once a month, and this is my first one! I hope you head over to check it out, and hopefully get inspired to make your own! And, have a wonderful day! Woohooo so excited for you, congratulations, Mindy! I'm heading over to check that pretty project :) Love that picture of your family. Congrats to you sweet friend! You are truly rocking it!!! I can just see this piece on a shelf layered with other frames...its color would just pop!!!! Beautiful!!!!!! And that picture is precious!!! All the best this weekend you!!! SO happy for you!!!! This is really cute! I love upcycling! Check me out at www.re-creations.biz. Cheers! 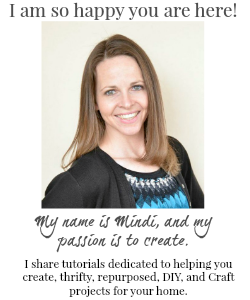 Congratulations, Mindi! That is so fantastic! :) Thank you so much for sharing and joining us at Best of the Weekend! Pinning! Hope you have a happy Wednesday and a wonderful week! This is so cute! Love the colors and the chevron! What a great upcycle...this turned out adorable! 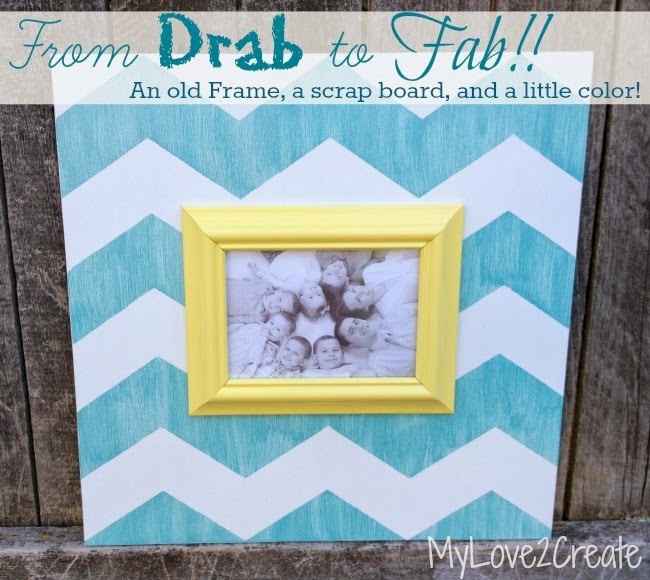 This would be great to link-up to Create It Thursday #22…it's live now! Hope to see you there! Oh I love it Mindi!! I will be featuring you tomorrow @ 'Tell Me Tuesday! Have a great week! !